What Happens to My Credit If Something Happens to My Cosigner? Many people get cosigners on credit accounts because they don’t have good credit or any credit at all. But what happens if your cosigner is unable to pay because of bankruptcy or death? Here’s the lowdown. A cosigner is someone who agrees to pay your bills if you don’t. For instance, if you have a cosigner on your rental agreement, she will be responsible for your rent payment if you don’t pay in a timely manner. Your cosigner’s credit score may be damaged if neither of you pays the bills. Because the cosigner is equally responsible for your bills, if something bad were to happen to her — like she declares bankruptcy or dies — it could affect your credit. Here are some examples of what may occur. What happens to my student loans if my cosigner dies or declares bankruptcy? Your private student loan may go into auto-default status if something were to happen to your cosigner, according to a 2014 CFPB report. If your cosigner dies or declares bankruptcy, your entire balance becomes due. If you aren’t able to pay off the entire balance right away, your loan will go to default. 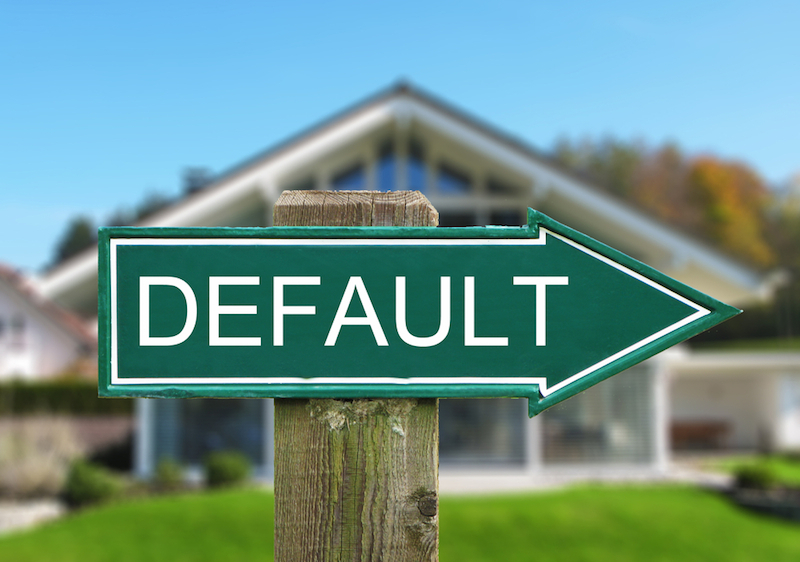 If you default on a loan, it means you didn’t pay your loan back according to the terms of your promissory note. This can keep you from being eligible for a payment plan or from taking on more student loans. Often times, when you default, your loan will be turned over to a collections agency. Of course, if something happens to your cosigner, there’s nothing you can do about it. Or is there? A cosigner release may help! A cosigner release is a document that states your cosigner can be dropped from your loan after a certain number of on-time payments and a credit check to determine your ability to pay off your own loans. You’ll want to exercise this option as soon as possible to reduce the risk of auto-default in the future. Check with your lender to see if release is an option by using one of these sample release documents. What happens to other debts? Normally, if your cosigner dies, you’ll still owe the debt, but it won’t automatically default. If you don’t pay the debt, your cosigner’s estate will be liable. Lenders can contact individuals with access to the deceased person’s estate to recover payments. Note: They can’t make family members of the deceased cosigner pay these debts unless it’s the spouse and the couple lived in a community property state. If your cosigner declares bankruptcy, it won’t directly affect you, provided you make all of your payments on time. However, if your cosigner has been making your payments for you and declares bankruptcy, and neither of you is making payments, your assets associated with secured debts may be repossessed. What’s the best way to avoid cosigner issues? Unless absolutely necessary, it’s best to avoid using cosigners. While cosigner/cosignee relationships are typically entered into with the best of intentions, they can cause friction in personal relationships if the original borrower isn’t able to make payments. If you need a cosigner because you haven’t built a solid credit history, ask the person to add you as an authorized user instead. That way, if something happened to them, you wouldn’t be liable and they would maintain total control over their accounts.